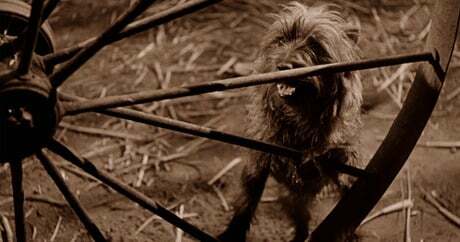 Toto in “The Wizard of Oz” (1939) is one of cinema’s most famous canines in one of America’s most-loved movies. Dogs may not be inherently patriotic (even when we dress them up in red, white, and blue), but they have taken on an even more important role in our culture. They are symbols of America — as celebrated as the 4th of July — who embody many of the characteristics we value as Americans. Loyal, committed, hard-working, and loveable — on this Independence Day, let us pay tribute to some iconic American canines (some of them animated) and see how and why came to represent this culture. Rin Tin Tin: Let us start with a German Shepherd because this particular one is a symbol of the American Dream. His sweeping real-life story has been described as a rags-to-riches success story — with barking. Rescued by an American soldier in World War I and brought to the United States (where he achieved fictional fame and fortune in Hollywood as an American hero), Rin Tin Tin is proof of just how far you can go with athletic prowess, hard work and good voice commands. At the peak of Rin Tin Tin’s career, the legendary director Darryl Zanuck was writing his movies—usually highlighted the dog’s remarkable bravery. Thanks to Rin Tin Tin, the floodgates opened for canines in Hollywood — and German Shepherds have been a popular American household pet for nearly 100 years. Only in America. Lassie: How did an English herding dog, the Collie, become America’s, maybe even the world’s, most famous dog? Books, a hit MGM film, an Emmy-winning Sunday evening TV show in America that ran for nearly 20 years? Lassie still has a marketing machine of pet products. But it is the pooch herself (the character was written to be female although played on the big and small screens by males) whose strength, discipline, loyalty and determination — she could rescue people from deep water wells — captivated America, where her legend lives on. Do yourself a favor this July 4th, and watch Lassie Come Home with Elizabeth Taylor and Roddy McDowell. Although set in rural England, it was made in America (by MGM) and reminds us of the values that are esteemed by the culture. In Lassie, do we see our better selves? Toto: A Cairn Terrier, Toto was immortalized in The Wizard of Oz by Dorothy’s famous line: “Toto…we’re not in Kansas anymore.” Toto represents something we all need in life, moral and emotional support — a devoted companion in life to accompany us on all of life’s journeys, even when they take us over the rainbow. And smart too: Toto was the only one with the wisdom and intuition to reveal the Wizard as a fraud. Gidget: We’re going bold here and putting a dog that hails from Mexico on a list of iconic American canines. But this Chihuahua, who was the spokesdog for Taco Bell in the late 1990s, is now one of the most rescued and pampered dogs in America. There may be a connection. Although the dog was really only a device used by a clever advertising agency to define the Taco Bell brand — America fell in love with this small, sassy pooch and its big personality. She represented an underdog, immigrant spirit that made us want to adopt her into our homes. Lady and the Tramp: OK, so we’re cheating as this duo makes the list six, but you can’t have one without the other. Of all the amazing love stories animated by Disney (and there are dozens of them) our vote goes to the one that tells the decidedly American story about with a street-smart Mutt and a pampered Cocker Spaniel who triumph to find true love. For many of us, these titular dogs who hold up the romance bar, remind us that anything is possible, and all will be well in the end. Several other canines populate in American culture, including Snoopy, Spuds MacKenzie, and Nipper (“the RCA Victor dog”) — just to name a few. This 4th of July weekend, remember your favorite dogs (fictional or not) and the American qualities they embody.